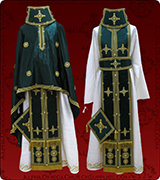 Price includes complete set: phelonion, belt, epigonation, cuffs, epitrachelion, sticharion. 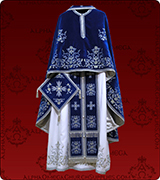 Price does not include sticharion. 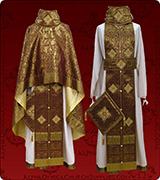 It includes: phelonion, belt, epigonation, cuffs, epitrachelion. 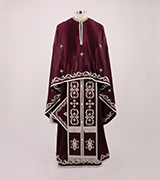 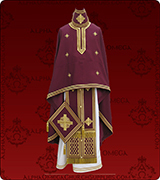 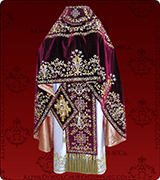 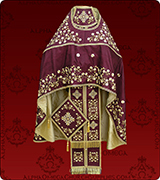 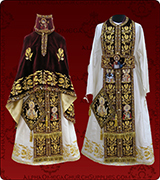 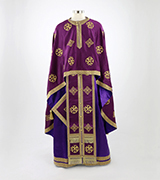 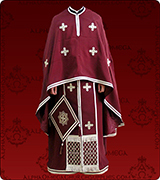 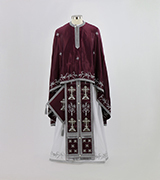 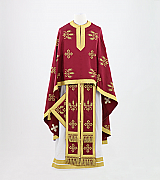 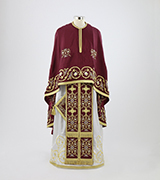 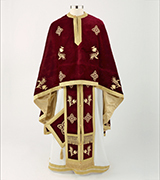 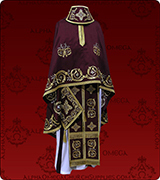 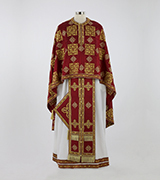 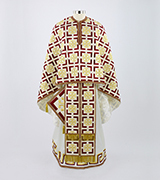 White embroidered priest vestments with gold and burgundy accents. 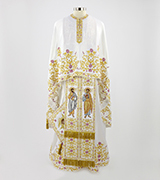 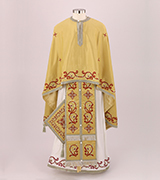 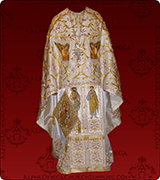 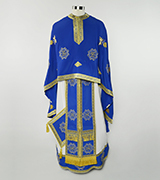 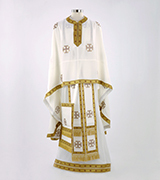 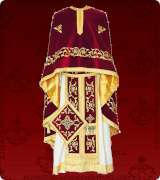 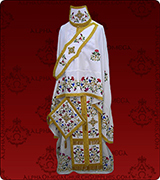 White embroidered priest's vestment with gold embroidery. 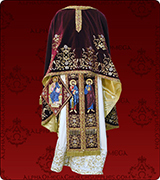 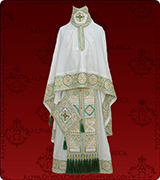 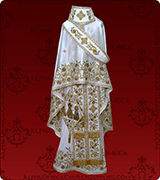 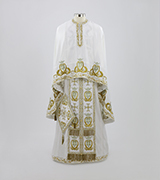 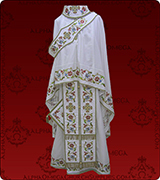 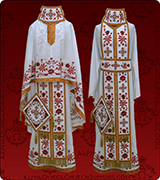 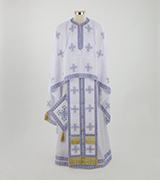 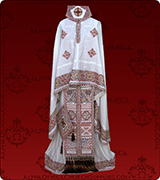 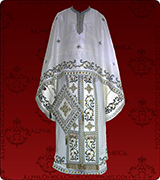 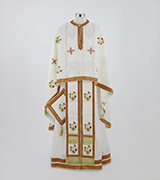 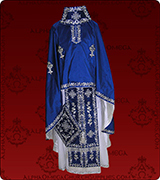 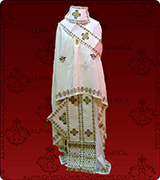 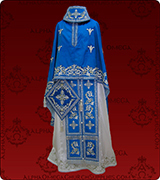 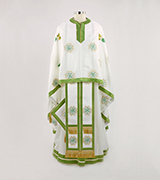 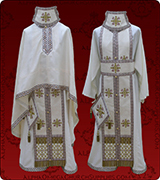 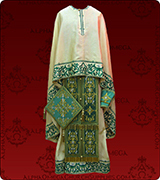 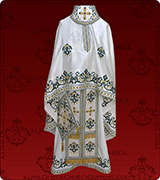 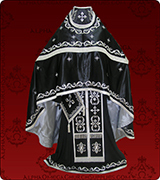 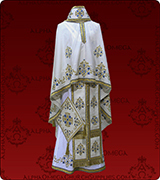 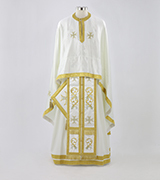 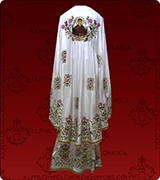 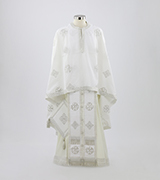 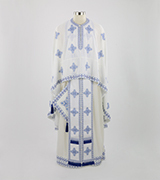 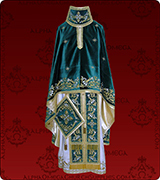 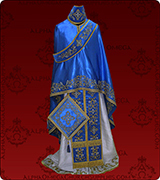 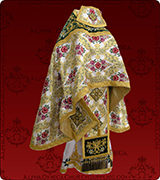 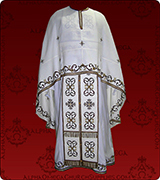 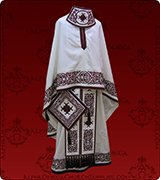 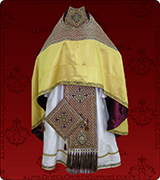 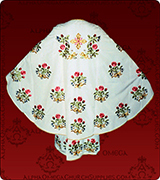 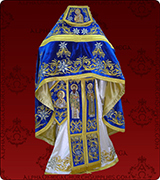 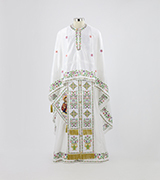 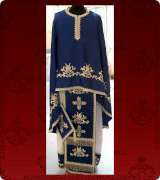 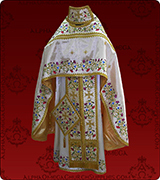 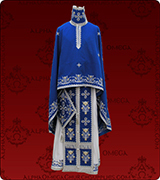 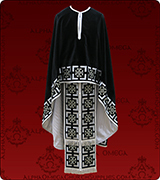 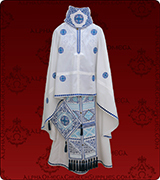 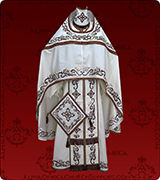 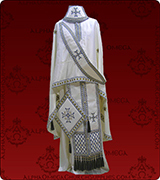 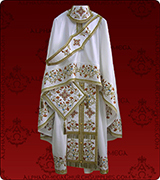 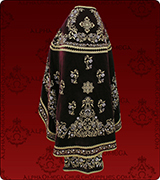 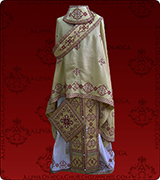 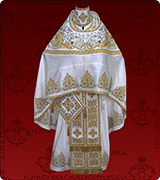 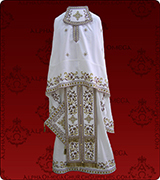 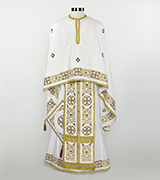 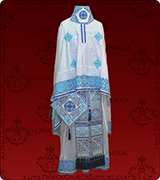 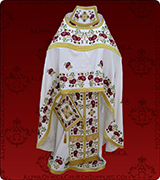 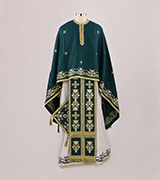 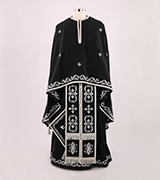 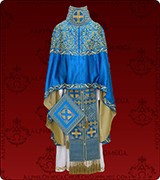 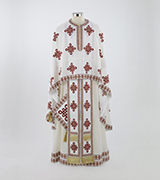 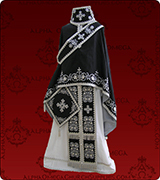 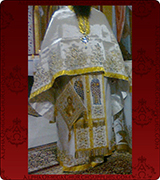 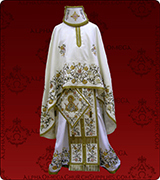 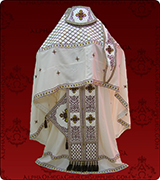 White embroidered priest's vestment with silver embroidery. 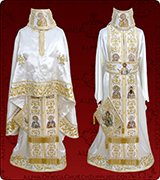 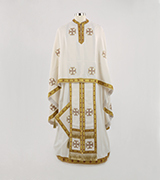 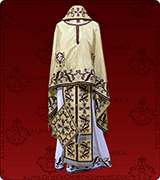 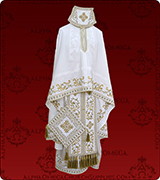 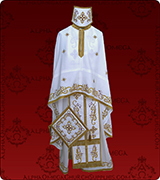 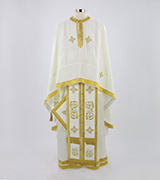 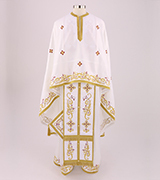 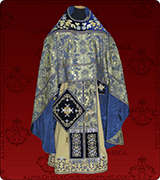 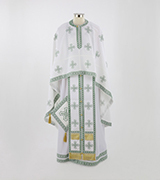 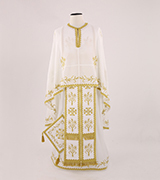 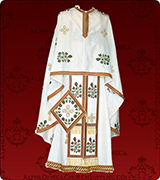 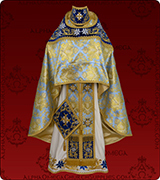 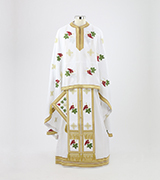 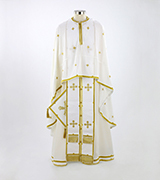 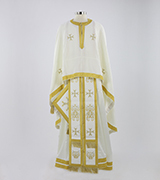 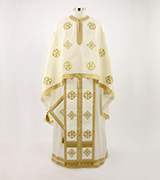 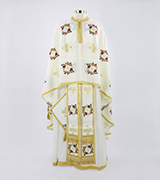 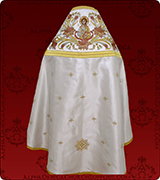 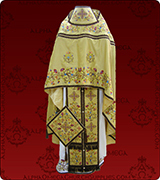 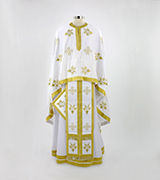 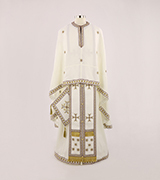 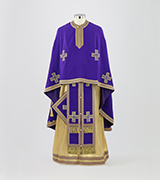 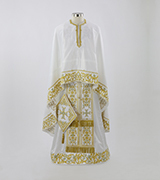 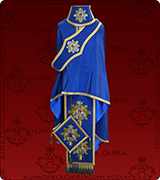 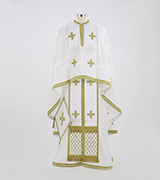 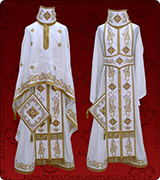 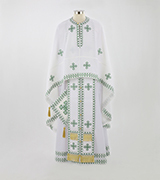 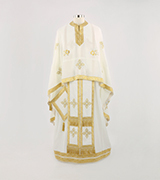 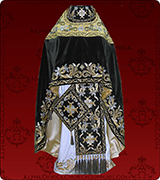 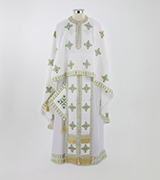 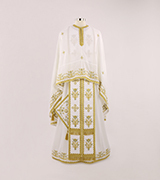 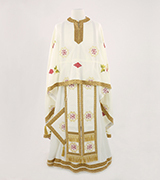 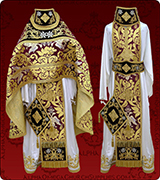 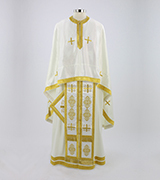 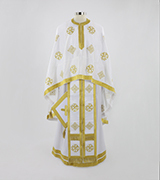 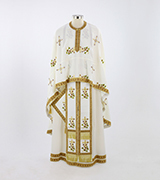 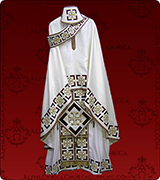 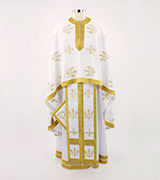 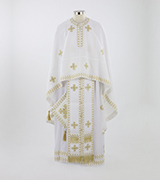 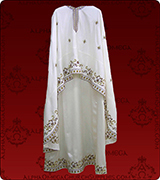 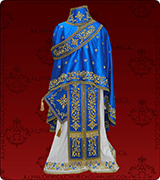 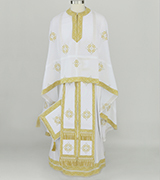 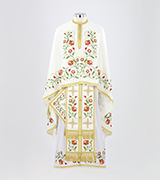 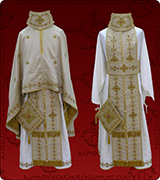 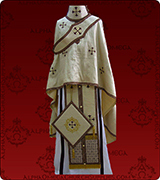 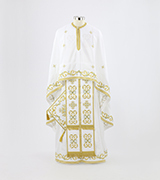 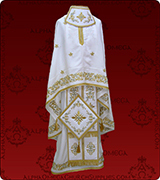 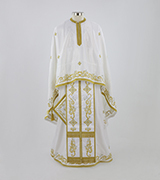 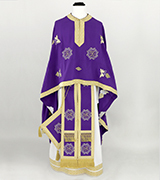 White embroidered priest vestment with gold accents. 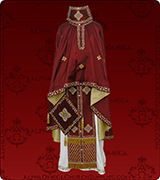 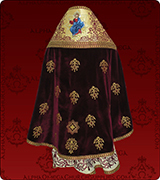 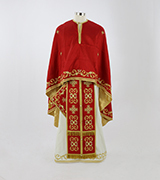 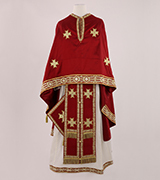 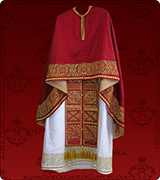 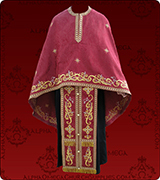 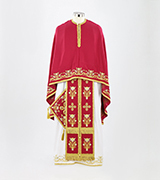 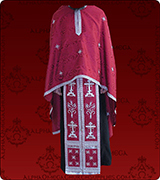 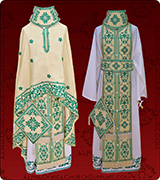 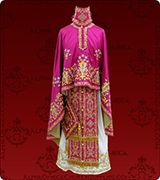 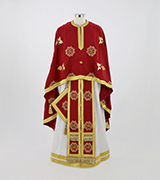 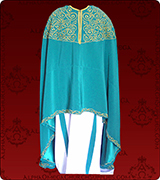 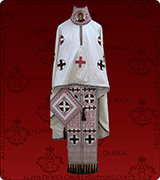 White embroidered priest's vestment with red and green embroidery.